Home › Knowledge Hub › Thought pieces › Charity copyright fees: for principle or profit? Charity copyright fees: for principle or profit? Historic Tunbridge Wells seems an unlikely sanctuary for a nest of monsters. Yet the scenic spa town is the home of the Newspaper Licensing Agency (NLA), an organisation whose very mention brings out pitchfork-waving, torch-bearing tendencies in many charity communicators. CharityComms’ recent report on the sector’s experience of the agency found NLA staff described as “pushy”, “bullying and rude” “ballbreakers” who are “operat[ing] a confrontational system of dark threats”, with a “hostile and aggressive approach”. As part of CharityComms’ campaign to have charities exempted from copyright licensing fees, we visited the NLA’s offices in Tunbridge Wells to meet the sales team and view the operation of the business. Up close and personal, the staff at the agency seem pleasant, mild and amenable. They are, as sales and marketing director Susan Dowley puts it: “trying to do a difficult job, politely”. Unfortunately, part of the “difficult job” the NLA does is to take £1.3m annually from charities in exchange for copyright licences. These licences allow charities to monitor and circulate press coverage, the vast majority of which is direct coverage of the charity in question, usually generated by the charity itself. NLA staff are at pains to point out that protecting copyright is enshrined by law. In collecting copyright fees from UK charities, the NLA is merely protecting the rights of media owners by enforcing a legal obligation on anyone who copies information from newspapers for commercial purposes. Well, up to a point: in fact what the NLA does is generate £26.5m income annually for the UK’s eight major newspaper owners (5% of which comes from charities) by selling licences granting permission to copy newspaper articles at a fee set by the NLA to profit its shareholders and – to a lesser extent – publishers of regional newspapers. 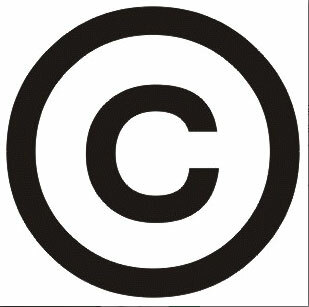 CharityComms does not disagree with copyright as a principle. But the NLA doesn’t just uphold the law of copyright through its sale of licences: it has discretion over how and when fees are applied. The NLA decides who it charges, for what, and how much, or tries to – as the recent ruling of the Copyright Tribunal shows. While the principle of copyright was upheld in the case of circulating digital links, the level of fees for obtaining copyright set by the NLA was slashed by the tribunal by 90%. In other words, it’s not the copyright principle that’s the problem, it’s the NLA’s application of that principle which profits media owners at charities’ expense. The way the NLA charges for copyright licences disproportionately favours the eight national newspaper groups that comprise its shareholders and correspondingly disfavours regional/local papers and the charities which get the majority of their coverage from them. Our meeting with the NLA helped us to clarify how charities can minimise their obligation under the existing system. As they were quick to point out, in tones of utter reasonableness, if you don’t do any copying, you don’t need to pay for a copyright licence. If, as is the case with many charities, monitoring and sharing media coverage is an important activity for you, then the NLA has suggested a range of ways you can minimise the copying you do and the consequential cost. The agency has also agreed to put together clearer guidance, particularly aimed at small charities with small comms functions, to clarify what activity is and is not acceptable with and without a copyright licence. The agency also insists that the perception of their staff as ruthless ball-breakers is a hang-over from working practices of over a decade ago. Staff training and an emphasis on improved customer service has shifted their formerly “aggressive” approach towards mere “tenacity”. However, since CharityComms’ research suggests a rather different impression of their customer service from the customer end, they encourage any charities with specific examples of poor customer service to keep a record of the staff member they dealt with and report issues to their business development manager, Maria Dawes (mdawes@nla.co.uk). The case remains though, that however pleasant the staff at the NLA may be in person, the system they are enforcing is inherently unfair and burdensome to charities, which do not use press monitoring for any profit-making activities. The next step in our campaign is to approach the NLA’s shareholders directly to ask them to consider exempting charities from copyright fees. We will also be targeting journalists at local, regional and national papers to explain how the current system places an unfair burden on charities. If you support our goal of exempting charities from newspaper copyright licensing fees, please add your charity’s name to our growing list of supporters. The research report on media licensing and charities is available from the CharityComms website.